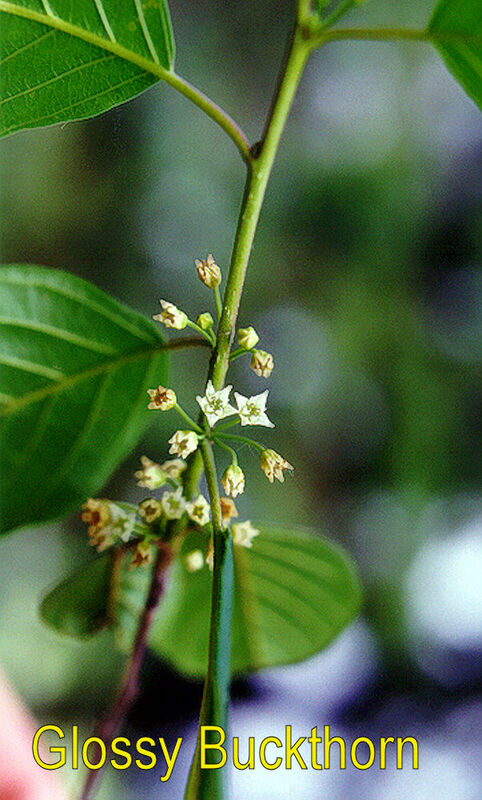 The genus Rhamnus has about 3 species in the UP but comes from a subtropical/tropical family with hundreds of species. 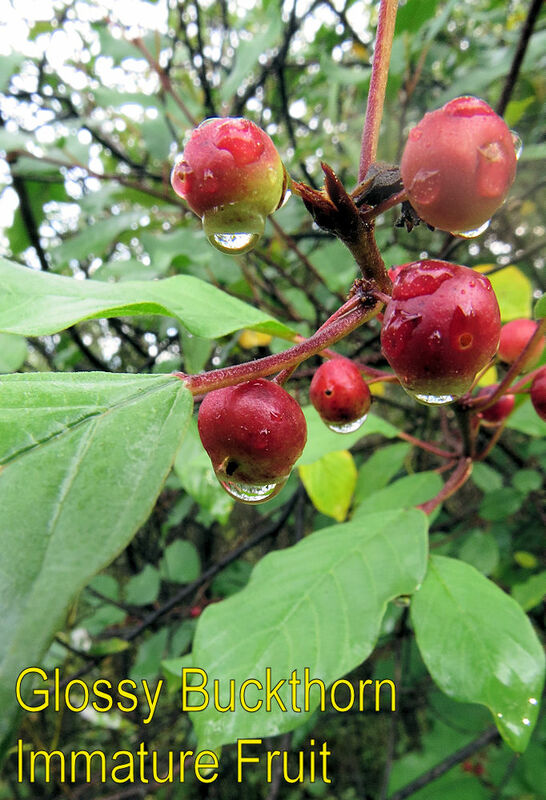 Two of the buckthorns (R.cathartica and R.frangula) are natives of Eurasia and have become naturalized in the UP. 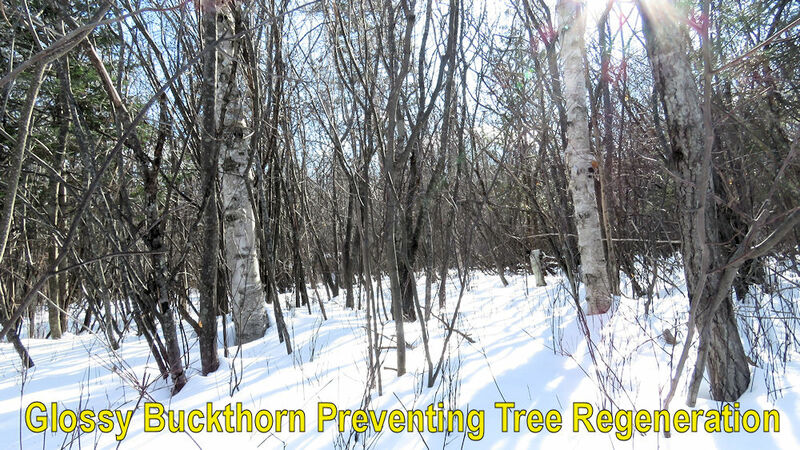 The native buckthorn (R.alnifolia) is less likely to be encountered and not very common. The non-native species aggressively overrun native shrubs and forest regeneration, especially where deer browsing pressure is high. 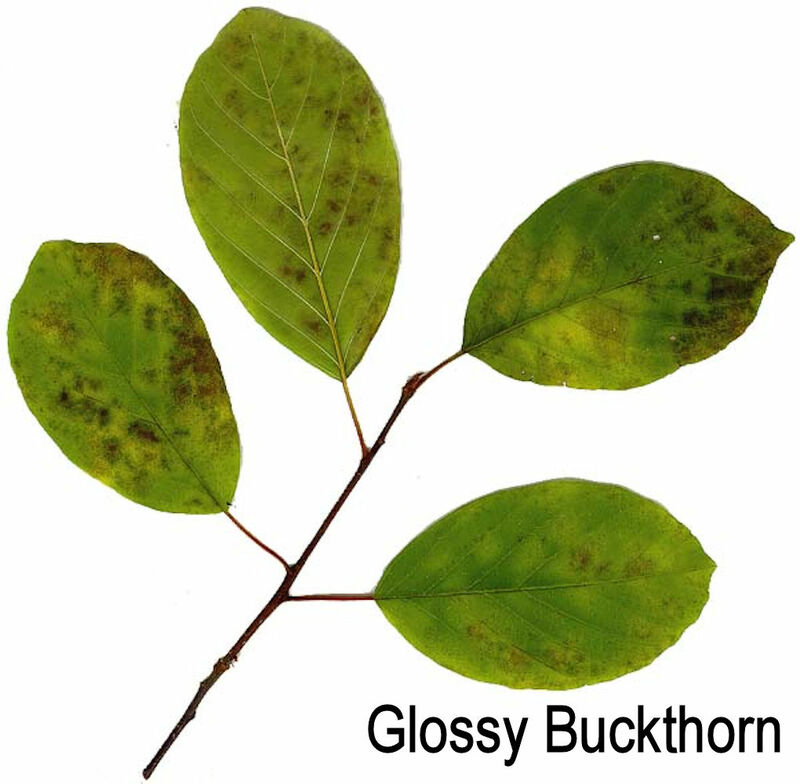 Buckthorn is one of the woody plants deer won't eat. 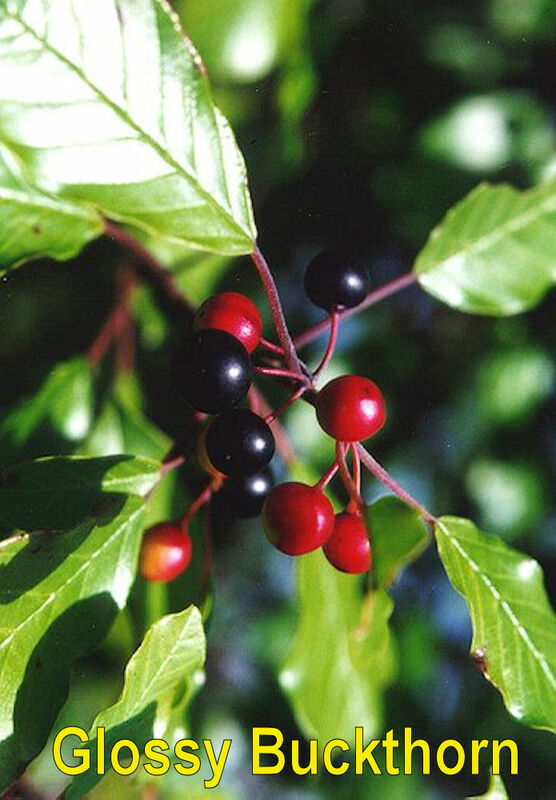 R. cathartica (common buckthorn) tends to prefer more upland sites and R. frangula (aka Frangula alnus) (glossy buckthorn) is more frequent on wetter sites. R. cathartica is oppositely-branched. 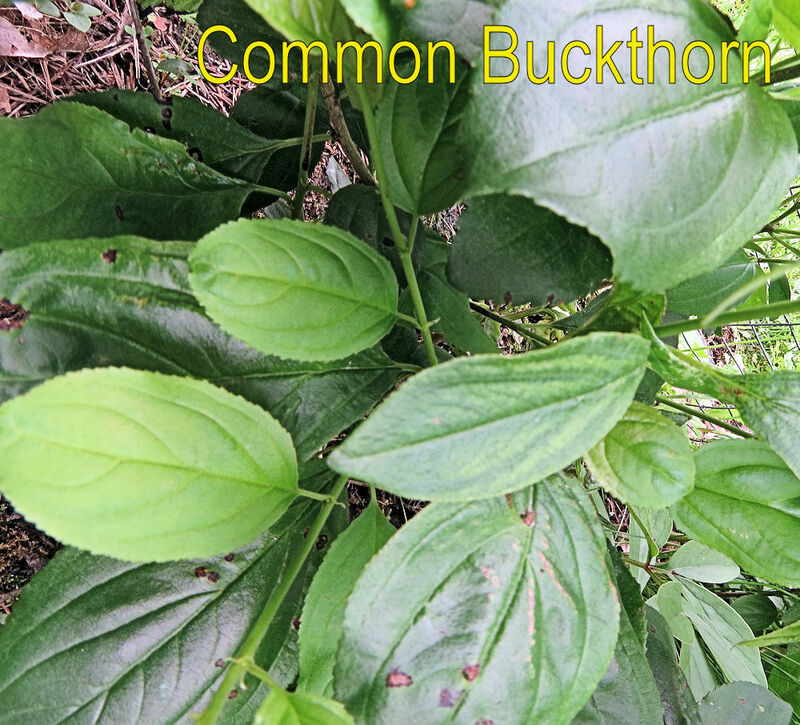 Other buckthorns are usually alternately-branched. 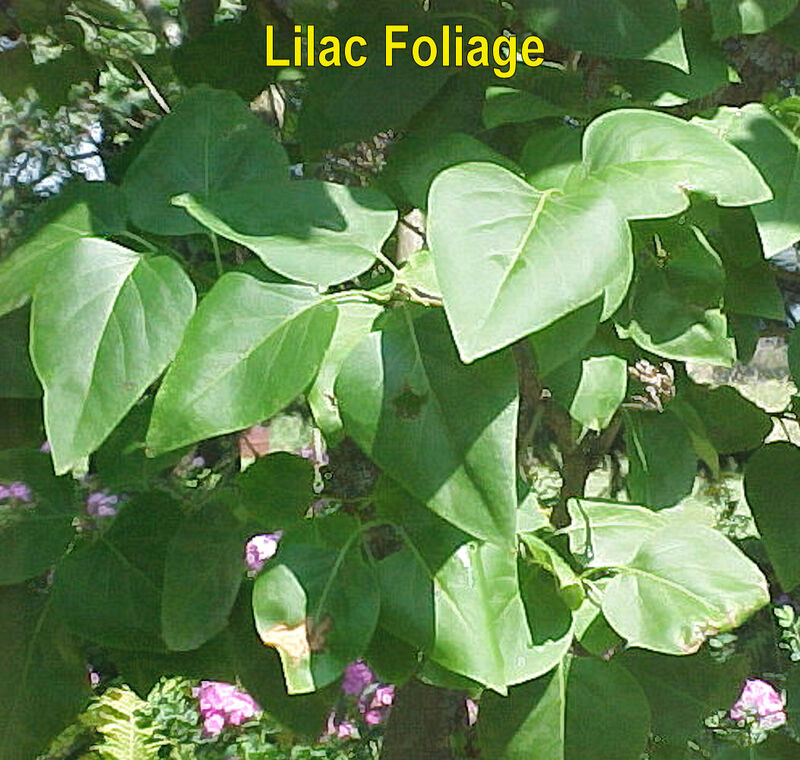 The simple LEAVES are about 1.5-2.0 inches long, oval-shaped, and have finely-toothed margins. 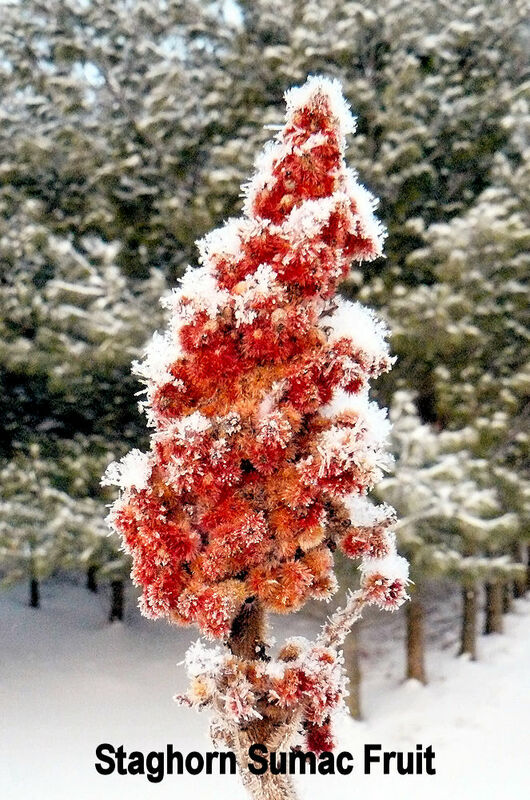 Green leaves often remain on the branches well after the first hard frost. FRUITS are dark purple, nearly black. 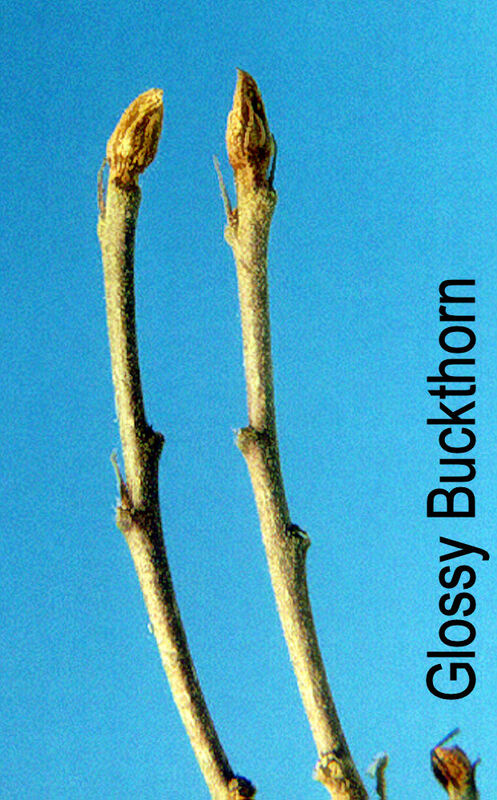 Slender, gray TWIGS end in sharp SPINES that resemble thorns. 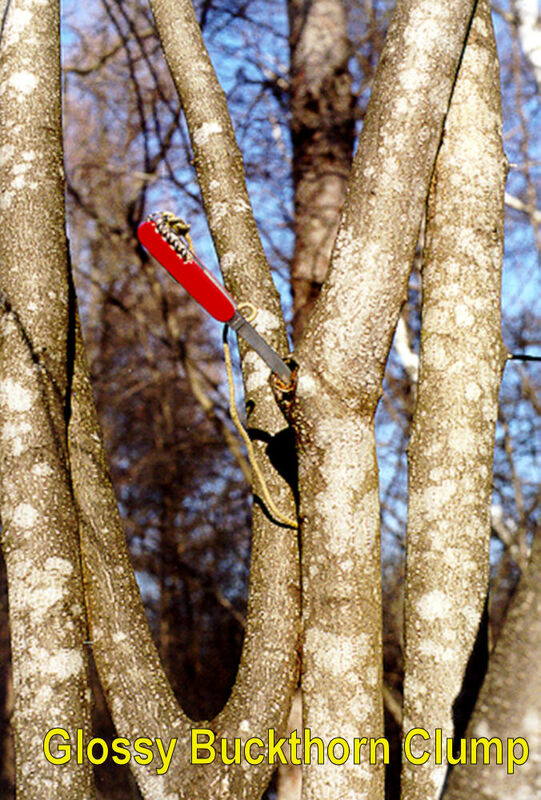 The BARK is medium to dark gray, smooth, with kind of a powdery surface. 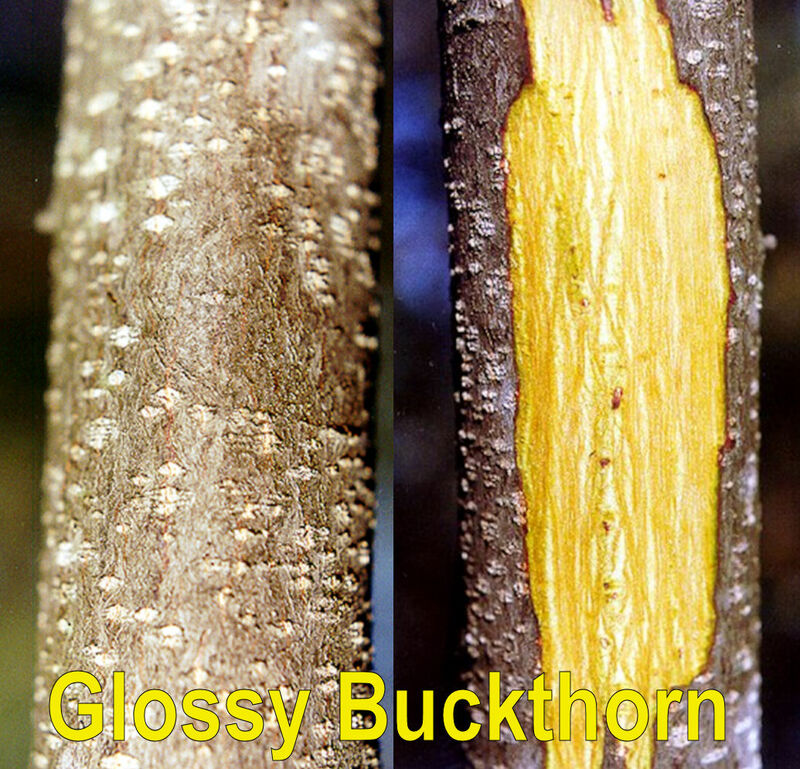 The INNER BARK is a bright yellow. 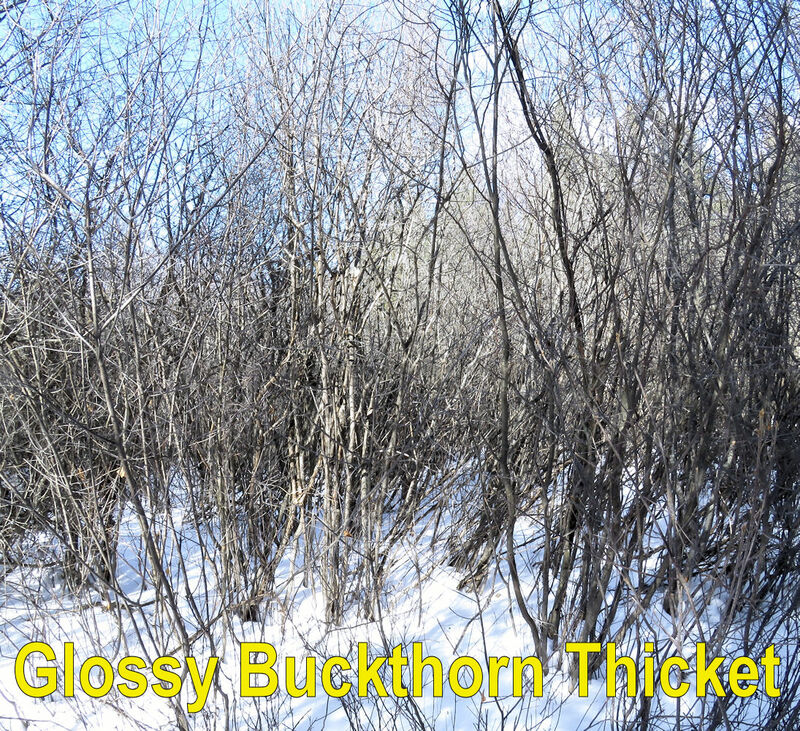 Buckthorn is a sun-lover and will invade the forest at the edges of old fields or in wetland areas. Stands can become dense thickets up to 15 or 20 feet tall. 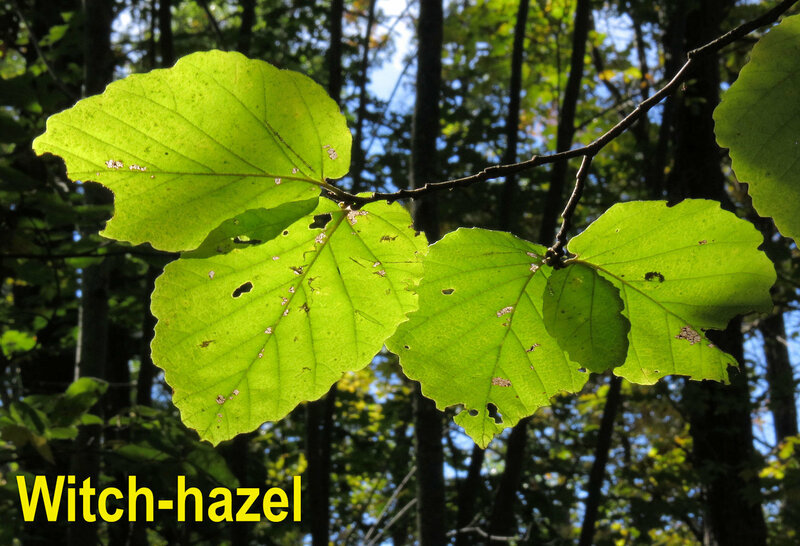 Witch-hazel is not an overly common species in the Upper Peninsula but it is distinctive enough to include on this page. 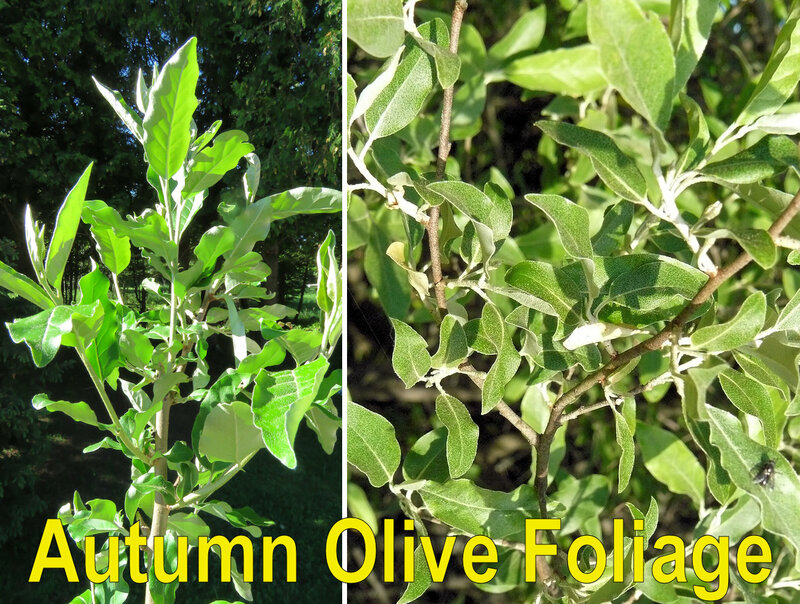 The LEAVES are roundish, 3-5 inches long, with wavy margins. 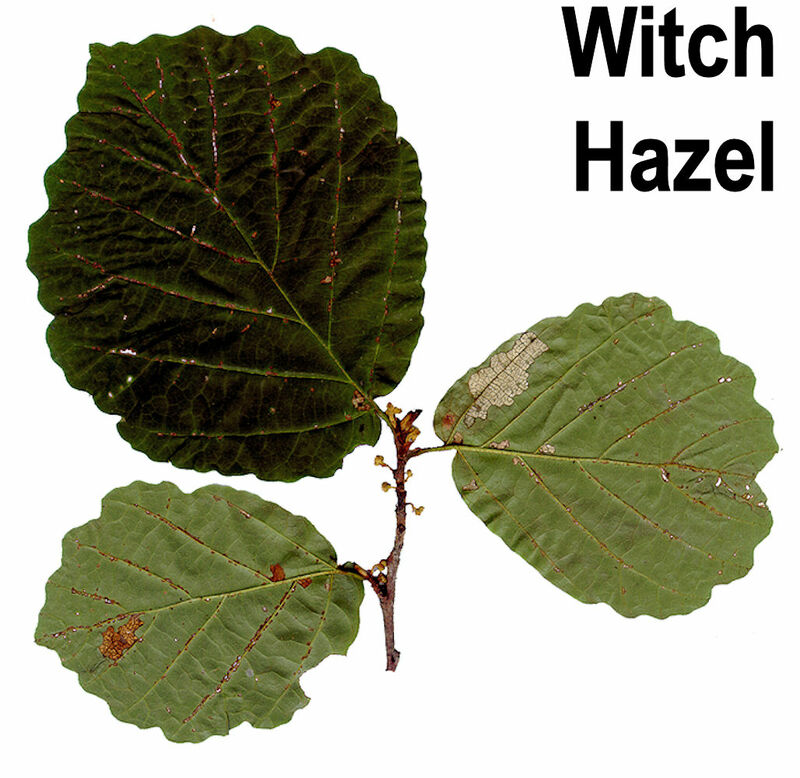 There really aren't any other leaves similar to witch-hazel. 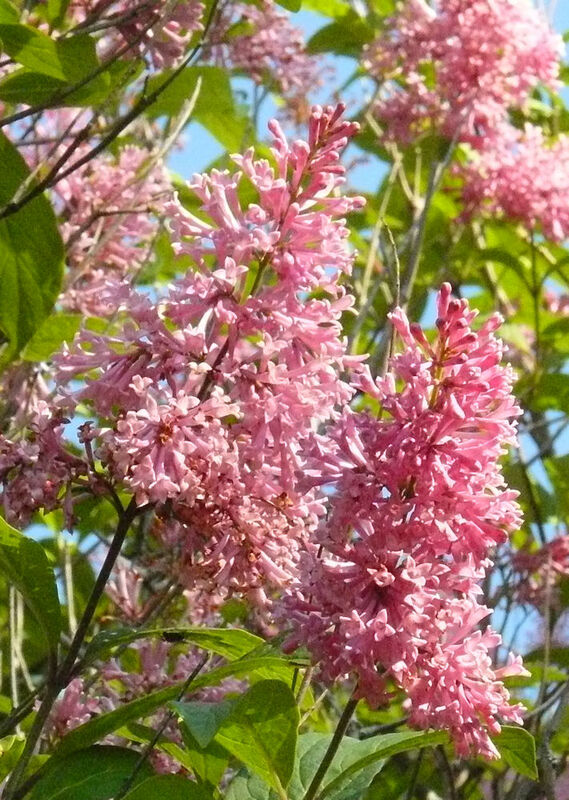 The flattish BUDS are lightly fuzzy and lack true scales. 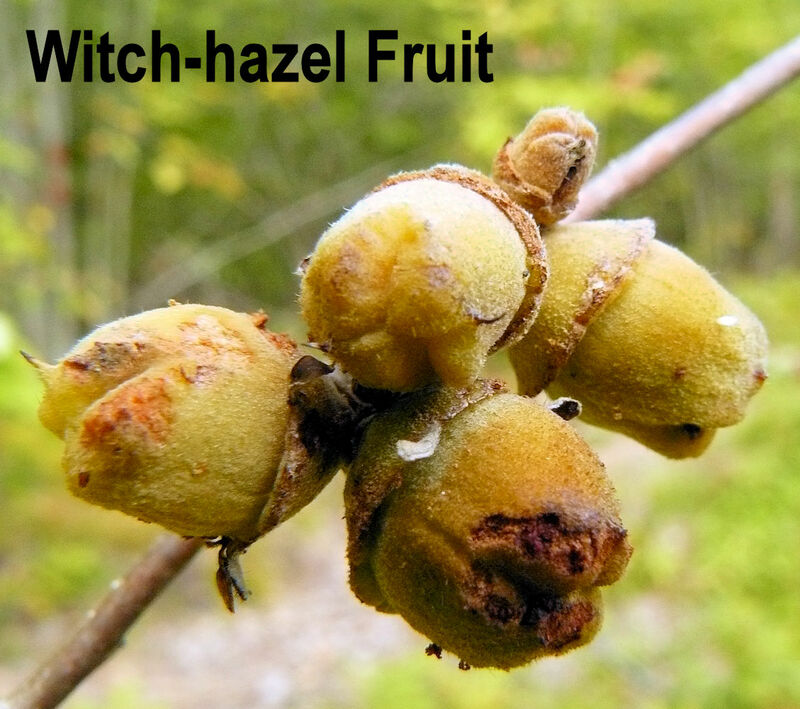 In July and August, the velvety nut-like FRUITS ripen, which darken later in the season. 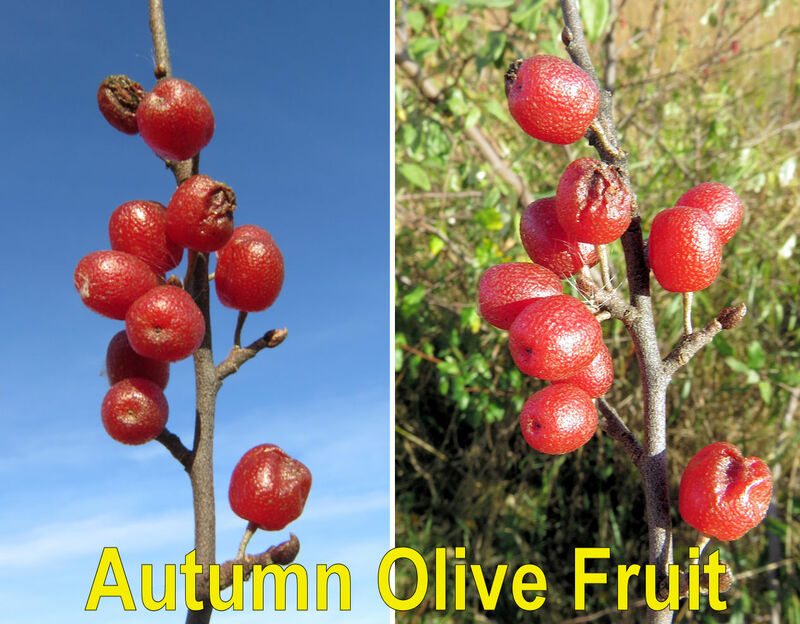 After leaf-drop, the brown fruits "pop" out seeds, sometimes ejecting them six to seven yards! 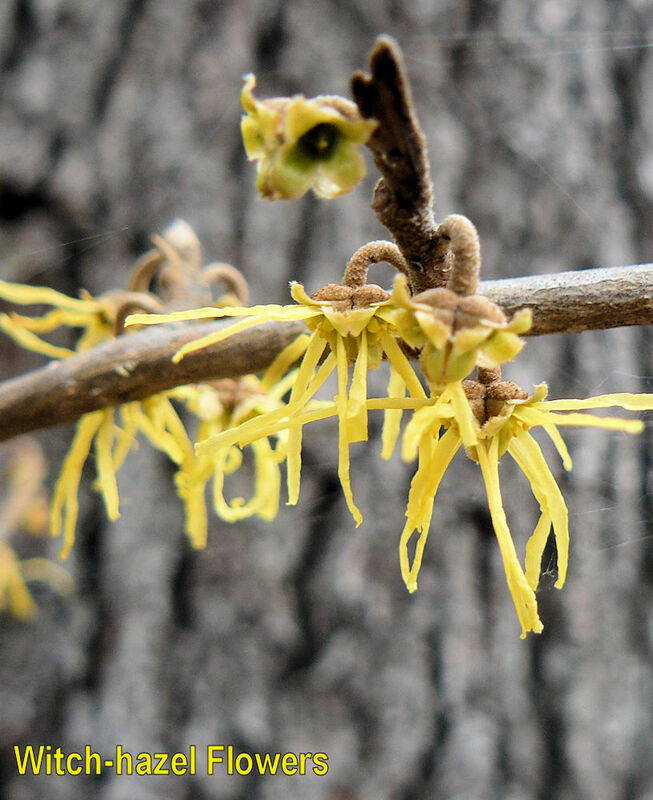 Witch-hazel is also the only shrub (that I know of) that flowers in the Fall, sometimes even after the first snowfall! The bright yellow FLOWERS have loose petals about 1/4-1/2 inch long, and can't be missed by those who are looking. 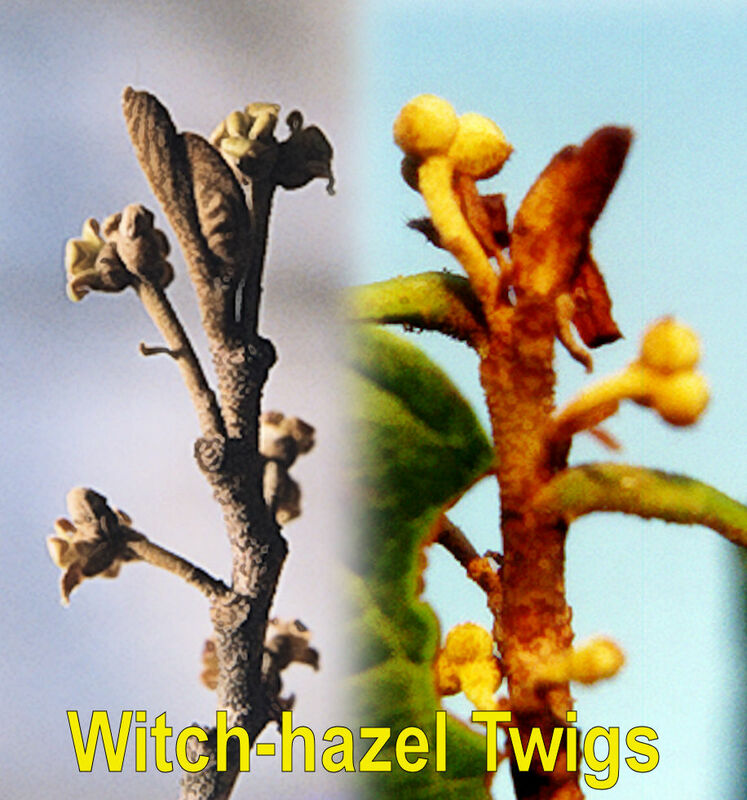 Witch-hazel gets its name because of its use as "divining rods" that indicate good groundwater sources by those individuals with the "gift". Bark extracts have also been used for medicinal purposes. 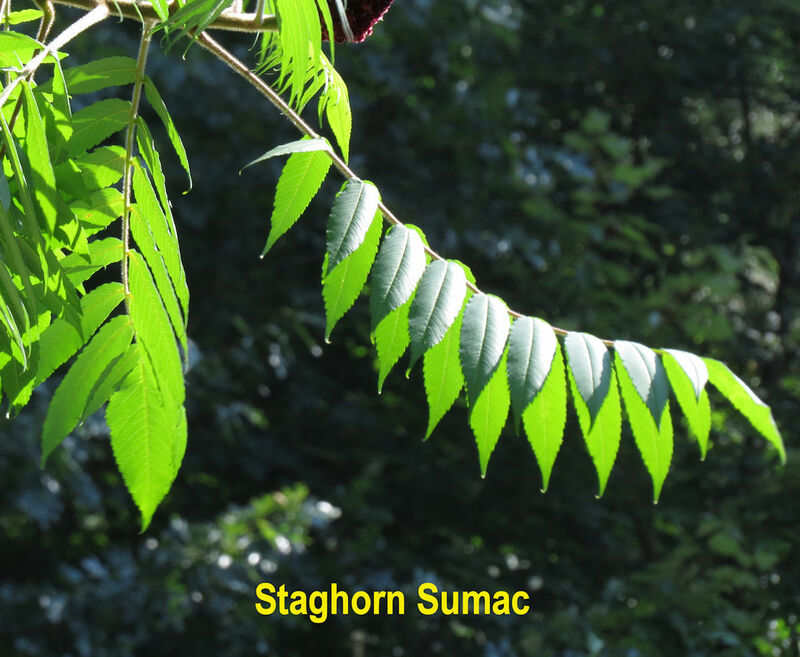 Most sumacs have fairly characteristic FORM, but the staghorn sumac is usually identified by the clumps of red FRUITS that often remain on the end of the branches year-round. 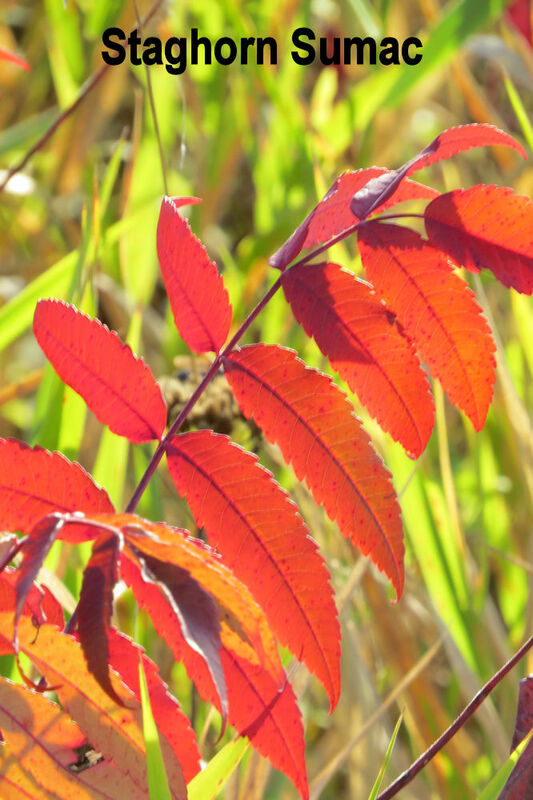 The compound LEAVES have serrated margins and turn a brilliant scarlet in the fall. 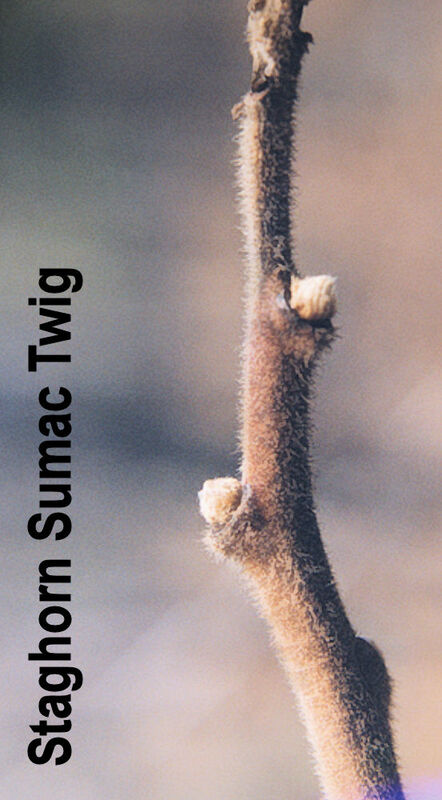 TWIGS are stout with many short hairs. 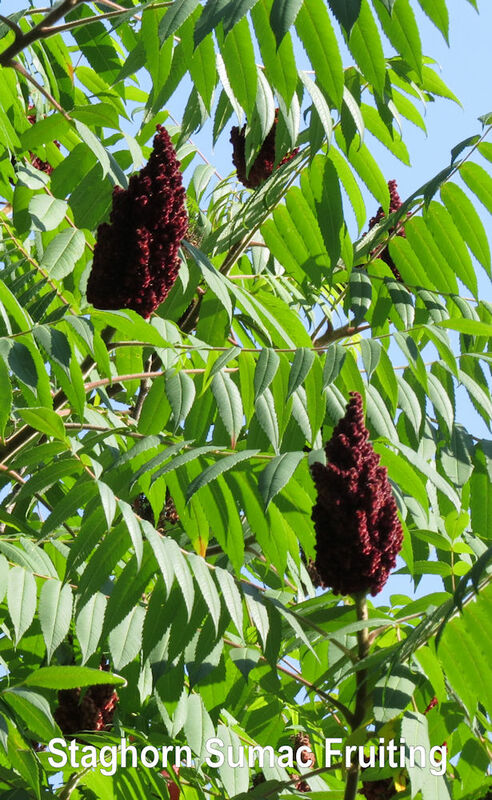 Sumac is often seen growing alongside roads. 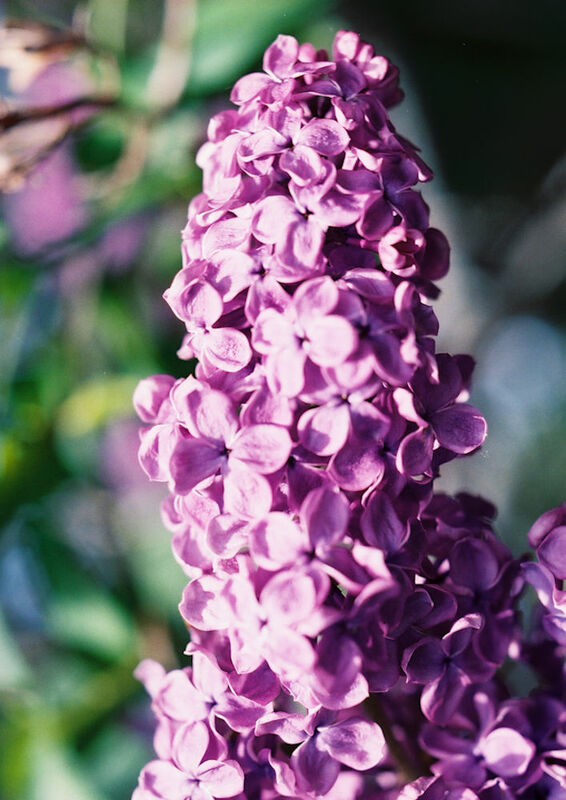 Lilacs are among the most familiar shrubs for most people. 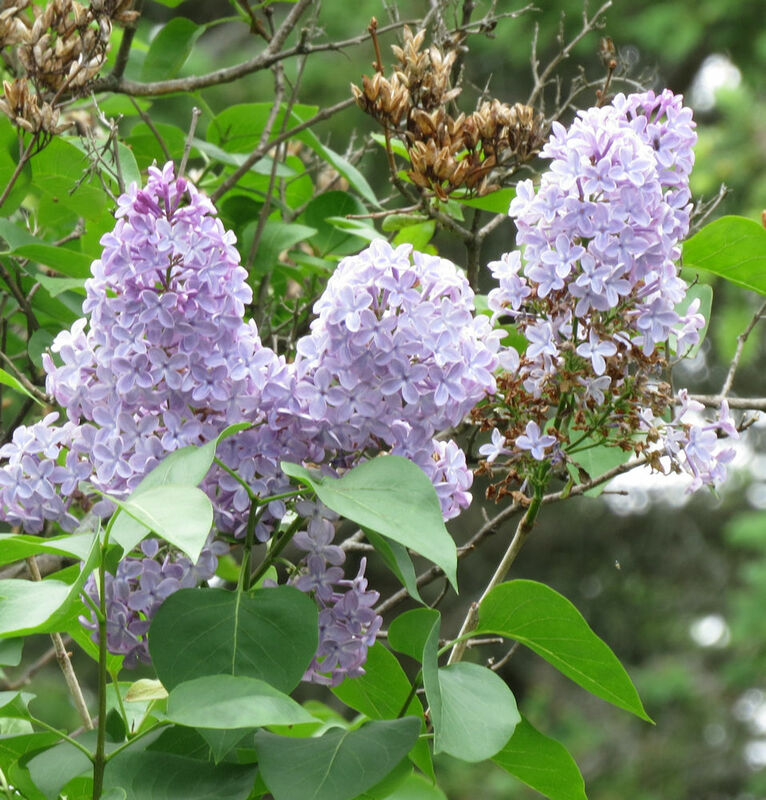 The spring-time fragrant clusters of lavender, pink, and white FLOWERS are common throughout Michigan, especially old homestead sites and farms. 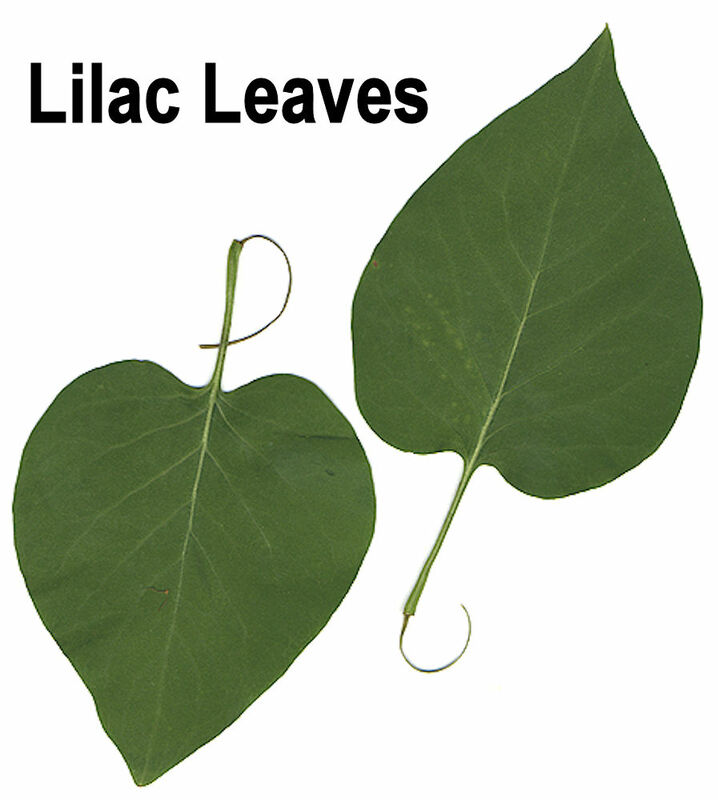 The simple LEAVES have smooth margins. 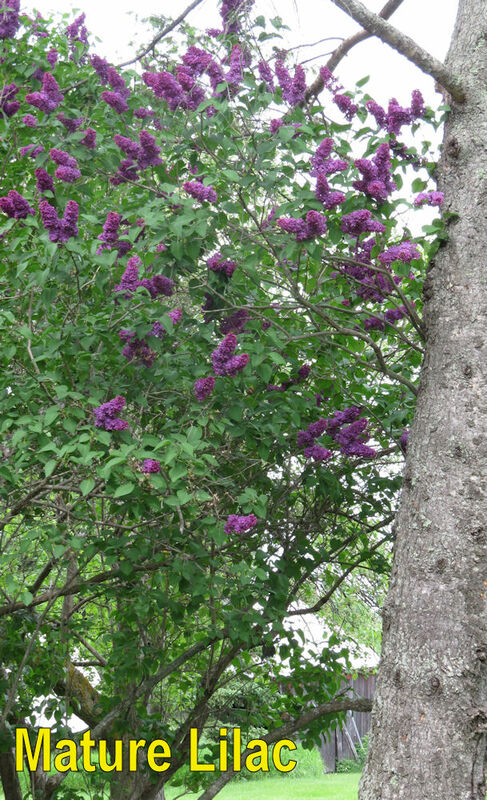 Lilac spreads primarily through root SUCKERS. 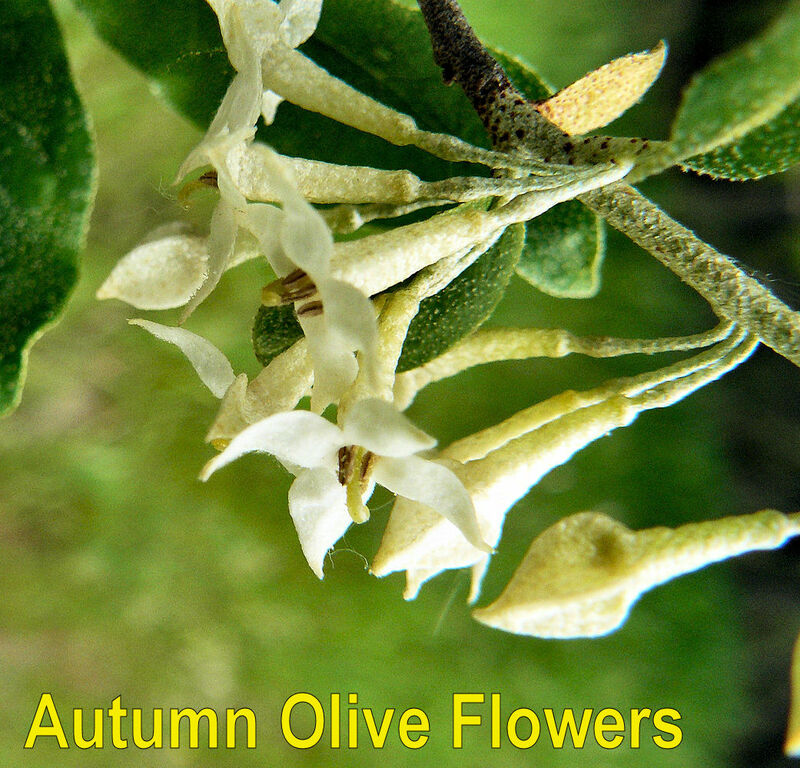 Autumn olive is a VERY INVASIVE exotic shrub with little wildlife value, although it was once promoted as a wildlife shrub and soil stabilizer by public agencies. 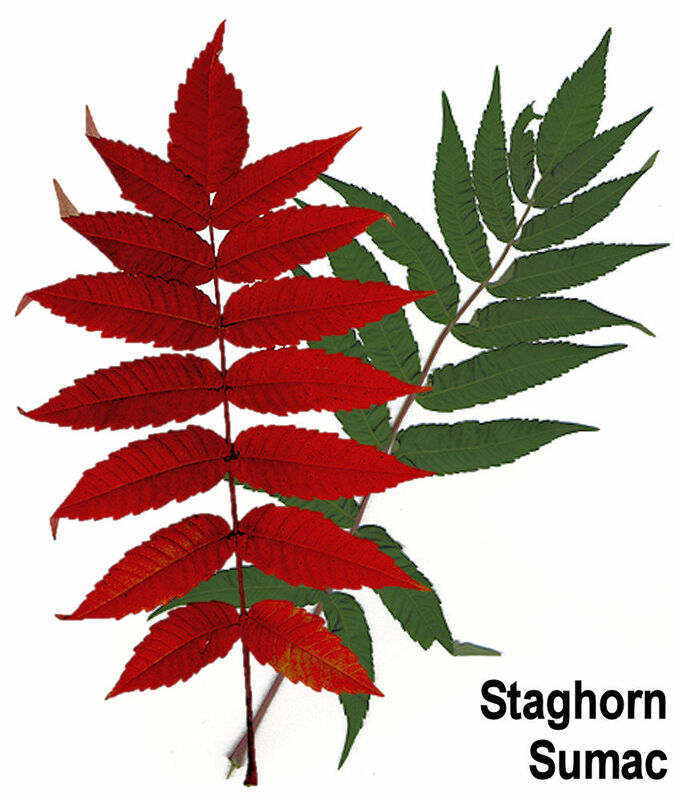 LEAVES are a gray-green, and scaly underneath. 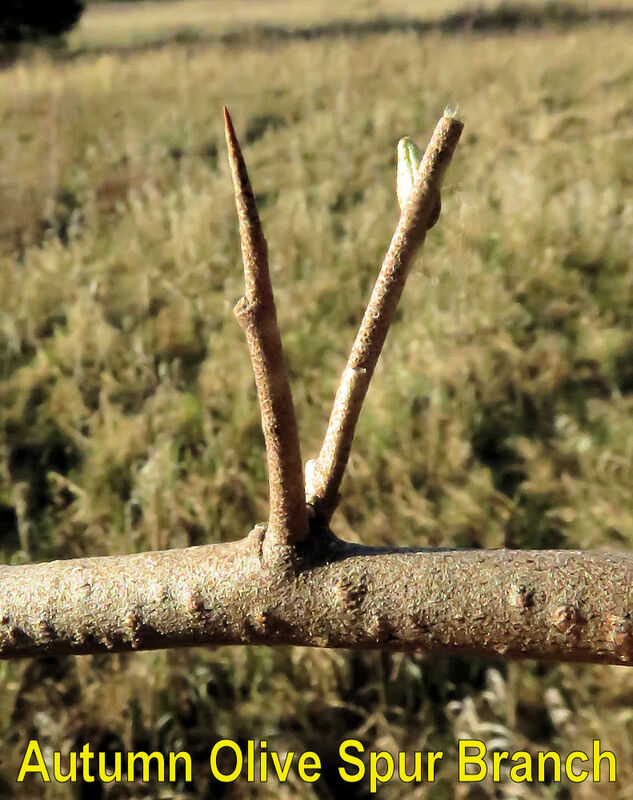 TWIGS have brown/maroon spots and sharp spur branches that are sometimes mistaken for thorns. 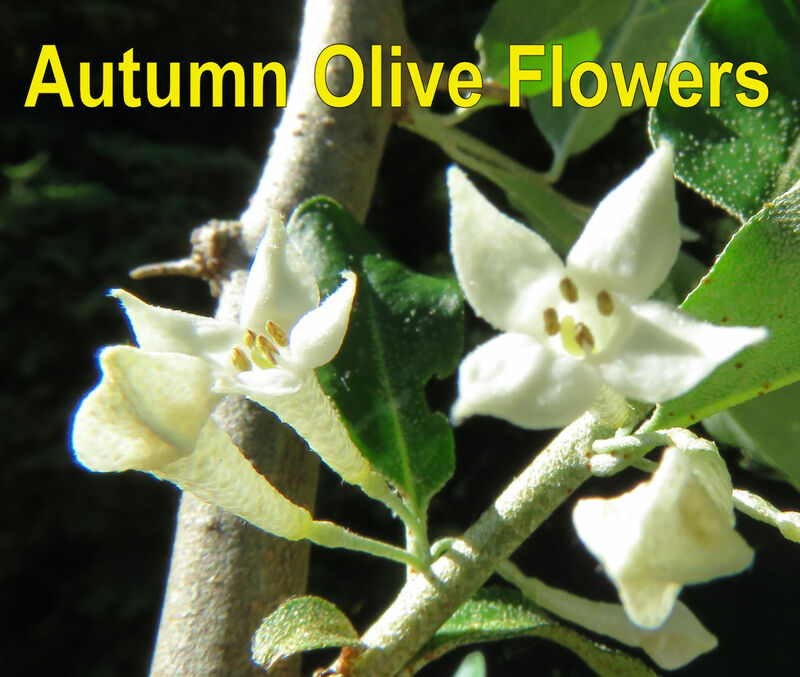 White or pale yellow tubular FLOWERS are four-petaled and quite fragrant. FRUITS are red, with spots, and quite tasty. Click on the blue to return to the Deciduous Summer Key or the Deciduous Winter Key. A note about the images on this website, click here.